The Ministry of Culture and Tourism of the Republic of Turkey ran this ad in Friday’s New York Times. What the Turkey lurkers fail to mention is this detail, as reported by the Boston Globe’s Geoff Edgers in 2011. In agreeing to the return, the MFA is making a rare about-face, acknowledging what archeologists and other critics have long argued: The museum should never have allowed the top half of the statue to enter the collection . 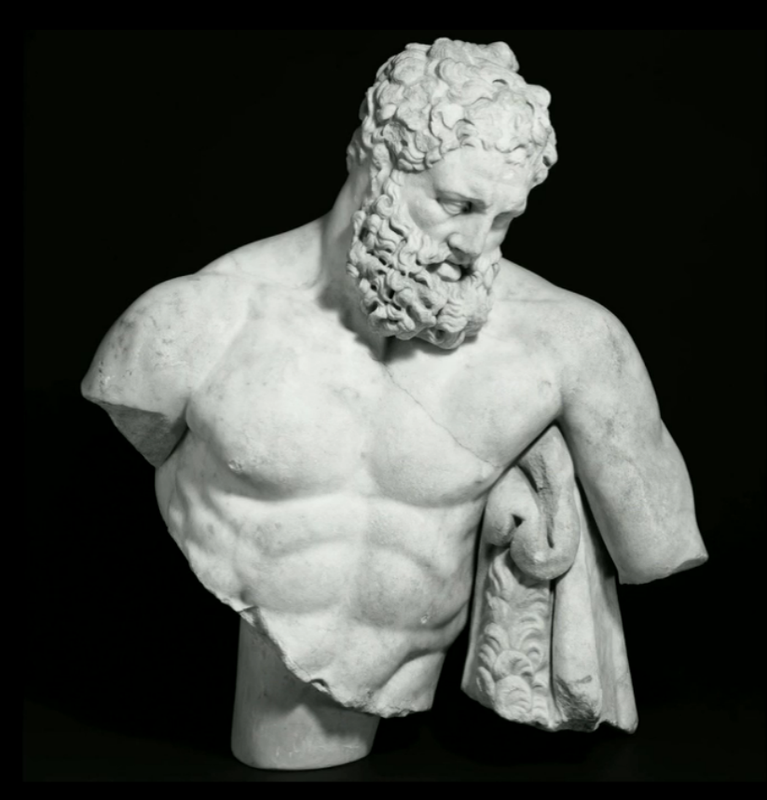 . .
[T]hose who have advocated for the return of the MFA’s half of “Weary Herakles’’ say they’re amazed it has taken so long to resolve the dispute. So when the Ministry of Etc. talks about the “institutions and individuals that have helped to repatriate lost artifacts,” it means “reluctantly helped” in the case of the MFA. This entry was posted in Uncategorized and tagged Boston Globe, Dallas Museum of Art, Geoff Edgers, MFA, Ministry of Culture and Tourism of the Republic of Turkey, Museum of Fine Arts, New York Times, Orpheus Mosaic, Perge, Weary Herakles. Bookmark the permalink.